NEXT | If you were an NPC, what would you drop when players killed you? The smartest looking mount in the history of World of Warcraft has just shown up again in the files for patch 8.1 — and it has a whole new look. 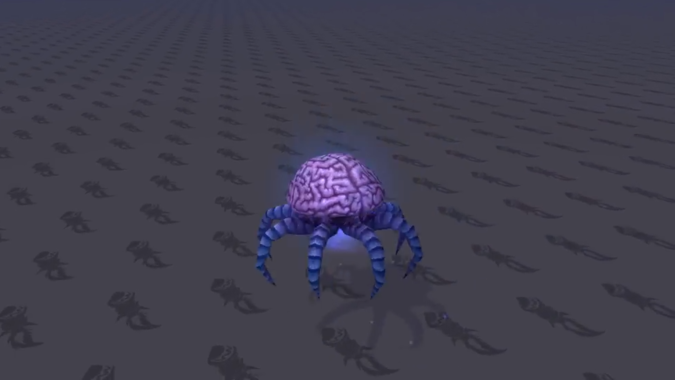 Originally in the 8.0 files but then revealed to have been a placeholder, it seems that players will finally be able to get their hands onto the Hivemind mount. The Hivemind spell data indicates we’re looking at a multi-person mount — with each additional person joining into the mind. It’s still early, though, so details may change. We also don’t know anything about the process of getting our hands on the mount. We’ll have to think about it longer. As I said, this isn’t the first time we’ve seen The Hivemind. Back when Battle for Azeroth was still in early alpha testing, the intrepid dataminers over at Wowhead stumbled upon its first iteration. Dreams of riding in style as part of a brain with your friends ensued. Sadly — the mount wasn’t there when Battle launched. A little later, Feasel dropped the above news about it being a placeholder reward. I was devastated. Initially, players assumed that the Hivemind would be part of a long, drawn-out secret, something involving the things already discovered in Battle. Baa’l is the cutest diabolic looking goat pet there is, and once you get Baa’l you can start on the Waist of Time chain. Which may or may not be a waste of time, depending on who you ask. 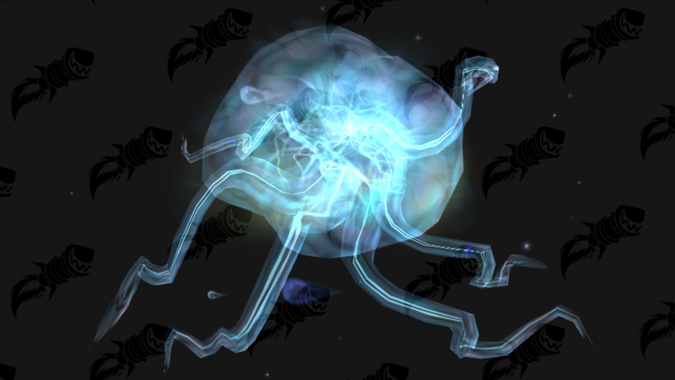 Since the Waist of Time required Baa’l to start, many people on the WoW Secret Finding Discord are speculating that if you’re interested in getting the Hivemind, you’ll have to have done them both. The Secret Finding Discord rose to prominence in Legion as a way to help solve the various devious riddles that Blizzard started to include as fun bonuses. Together, the players who took part formed their own — ahem — hivemind that allowed them to quickly puzzle out solutions to the various riddles. That said, they seem stumped by Lady Chaton and her various cats right meow. This has kicked off an intellectual arms race with Blizzard — each successive puzzle has been tougher and full of more obscure references and annoying mechanics. Jeremy Feasel seems to delight in how tricky things have gotten. Luckily, nothing in Battle has been as hard as the Lucid Nightmare’s maze — yet. When 8.1 arrives, I expect that they’ll turn their minds onto all the possibilities. Hopefully, you’ll get to be the brains of the operation soon.